Dragon Audit is the #1 adventure game about dragons and auditing them! A battle accountant storms the castle to rescue a princess, but accidentally rescues an overly friendly dragoness instead. Now they're on a wild adventure to save his hometown from dark forces. It's a humorous adventure story in the vein of point and click classics, told with an anime inspired 3D visual style and modern controller-friendly input. The game has over 900,000 registered users and a player-built game world that is larger than the combined landmass of the United Kingdom. 8BitMMO has won numerous awards, including taking the prestigious Best Technological Game Award at Sense of Wonder Night (Tokyo Game Show's curated collection of indie games). 9BitMMO is a test client for 8BitMMO in glorious 3D. Details at 9BitMMO.com. Comrade, craft our glorious country's natural resources into advanced materials. Discover crafting recipes to create powerful weapons and then sell them. Automate your weapons factory and create many capitalist profits! Archive Entertainment specializes in creating top quality gaming and entertainment experiences. Archive is founded by Robby Zinchak, an industry veteran with eight shipped games in key leadership positions. Before becoming indie, Robby was a Producer at Microsoft, and before that also led game production at Capcom and Midway. 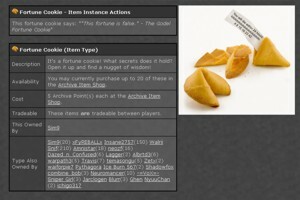 Archive Games is a project to deliver downloadable games directly to users in a fast & easy to use interface. The system provides both free games, paid games, and demos using an advanced distribution engine that runs on multiple platforms. The engine allows for quick updating directly by the developer and easy e-commerce processing. Over 25 titles are currently hosted by a large variety of creators. More information can be found on the Archive Games page. Your team must compete against other teams to build your own bases and defenses, while also attacking any opposing team's base. For more information on SimWorld, please visit this page. Archive Items and Archive Points provide two drop-in additions valuable to any vBulletin powered forums community. The two systems work together to increase user activity by rewarding user activity in a highly visible and transparent manner. More information can be found on the Archive Items & Points page. 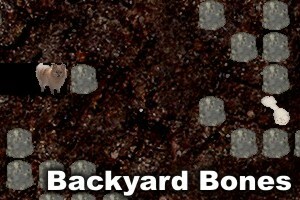 A free puzzle game -- help Ruby find her buried bones! Get it as a stand-alone install or via Archive Games. 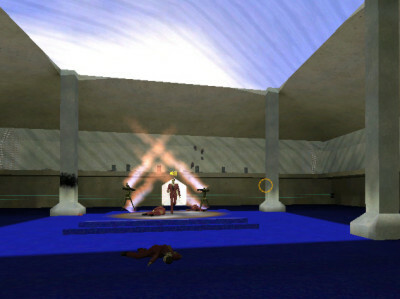 Hostile Takeover is our original video game project, a mod for the first Half-Life game. It prototypes out the gameplay later seen in SimWorld, and uses an early version of the Archive Games distribution engine to keep all its files up to date. Learn more. Please feel free to explore using the above links, or contact us using the contact form!